Our Master of Liberal Studies students in Dr. John Freeman’s class, “The Grand Design,” met one evening in April at the Rice Campus Observatory to catch amazing glimpses of Venus, Mars and Saturn, and you can, too! Dr. Freeman’s course tackles the big questions: why are we here – why is anything here; why is there something rather than nothing; where did the Universe, the stars, planets and life itself, including us, come from; is ours the only universe; and finally, are the laws of nature sufficient unto themselves to explain all that we see or is there a case to be made that a Divine creator is/was involved? Are you interested in star-gazing at Rice? 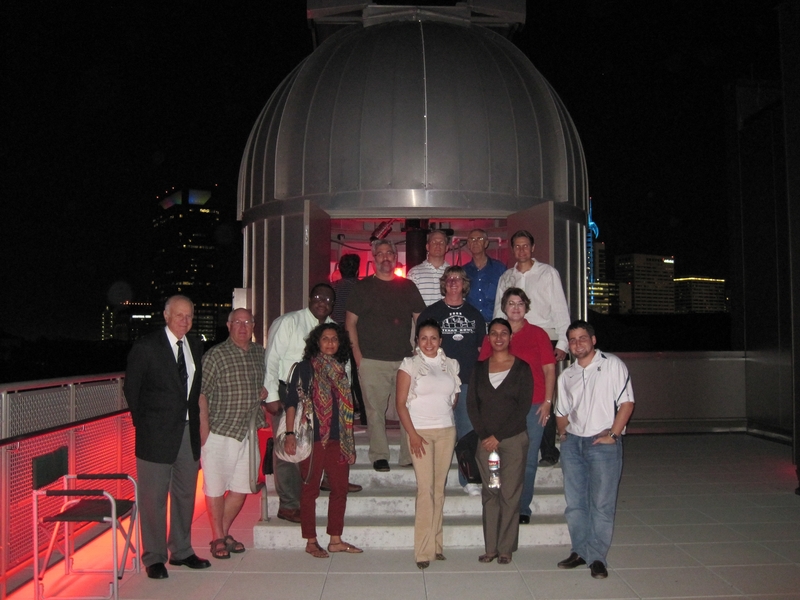 The Rice University Campus Observatory offers open houses to the general public. To learn more about the Master of Liberal Studies degree program, visit mls.rice.edu. Applications for fall 2012 admission are due May 18. This entry was posted in General, Master of Liberal Studies. Bookmark the permalink.